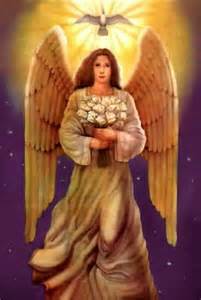 Archangel Gabriel; The twin places are being healed! 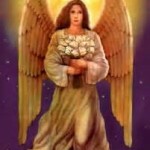 I am Gabriel, I am an archangel! I am a servant of God and he is my shepherd. aiding faith to remain on earth. Faith is an universal energy, that always works in the constellation with Hope and Love. It is a holy trinity. On earth, I am like the shepherd that is working with Faith, Hope and Love, and I am constantly checking how Faith Trinity are doing. I follow Faith everywhere. There needs to be balance, in the trinity. When Faith, Hope and Love come to earth there is perfect balance. And as soon as it lands, the balance are interrupted. A large ground crew are working on healing this imbalance. All places on earth that has been under pressure, caused by criminal activity, spreading sorrow, pain, and more are now being healed at this moment. Your planet has a delicate nervous system, and everything is connected. So by healing each point, it opens up for joy and happiness all around her, your mother Earth. All places on earth has a twin place. That is why this ground crew are so important. Each point that is being healed, will affect also its twin place. And that place can be situated anywhere on the planet. So this healing that now is taking place will open upp for more harmony and joy. Actually this team has been doing this for some years now. And a few of them have done it for decades. Every little spot on your beloved Mother, is important. As soon as you love a place, cherish the ground, it will aid the twin place. And this helps the holy Trinity. Faith will be restored, just as well as Hope and Love, it will be balance, and through the balance comes joy, great joy! So when you love each step you take, and each place you visit, you become a part of this great ground team, that works with this at all times.